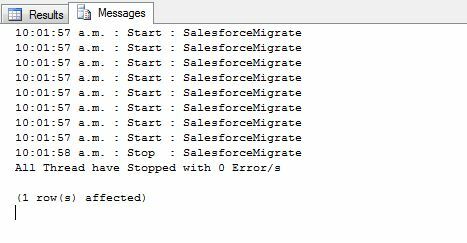 After my post here, It seems that everything is working fine but I need performance out of it an my last resort is to Execute Stored Procedures in Parallel so I can run multiple instances in one run. To achieve that I need to create a CLR Stored Procedure so I can run Execute commands in a thread. So what do I need to achieve that? CLR Stored procedures are routines that cannot be used in scalar expressions. Unlike scalar functions, they can return tabular results and messages to the client, invoke data definition language (DDL) and data manipulation language (DML) statements, and return output parameters. Define the stored procedure as a static method of a class in a language supported by the .NET Framework. For more information about how to program CLR stored procedures, see CLR Stored Procedures. Then, compile the class to build an assembly in the .NET Framework by using the appropriate language compiler. 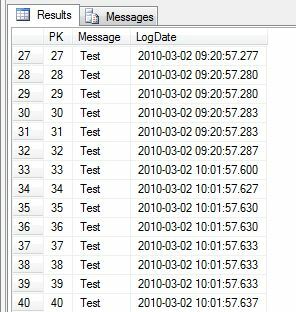 Register the assembly in SQL Server by using the CREATE ASSEMBLY statement. For more information about how to work with assemblies in SQL Server, see Assemblies. 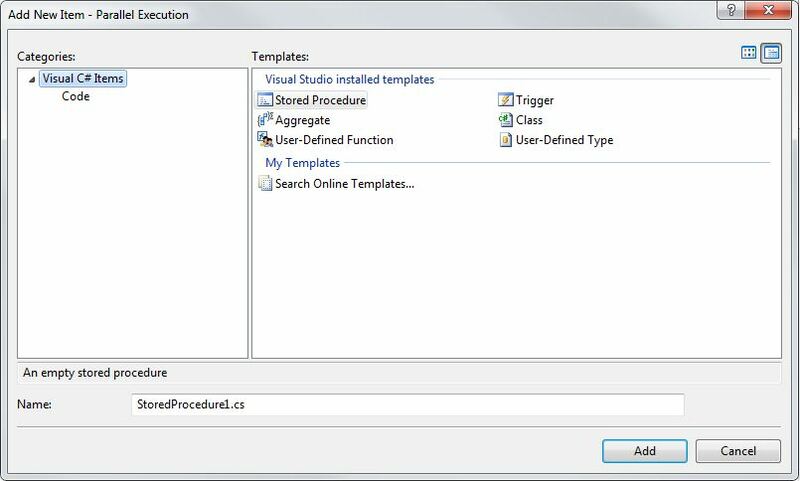 Create the stored procedure that references the registered assembly by using the CREATE PROCEDURE statement. As you might have noticed you can also add an Aggregate, User Defined Function, Triggers and User Defined Types. Once you added the Stored Procedure then the fun begins. Here is what I have done. Once all done you can now deploy you CLR Stored Procedure, and once you had deployed it it will be now available in your chosen database in the same place you find your stored procedures. After you run this check your message and table for the results! Can you set the permission level of the project property to “unsafe”, the re deploy it. Then let me know what happens. Sorry, my mistake-forgot about that. Thanks again for the post. IS RETURNING THE WRONG NAME FOR THE SERVER IN SOME INSTALLATIONS. Can you send me the code you are using so I can see whats wrong. Parallelization for queries (SELECT) is covered quite well by the SQL engine itself, but when it comes to large volume data modifications (UPDATE, INSERT, DELETE), the standard engine does parallelize towards best use of all available resources (disk, multiple cpu-cores, etc.). This approach can also be used to execute multiple SQL statements in parallel. 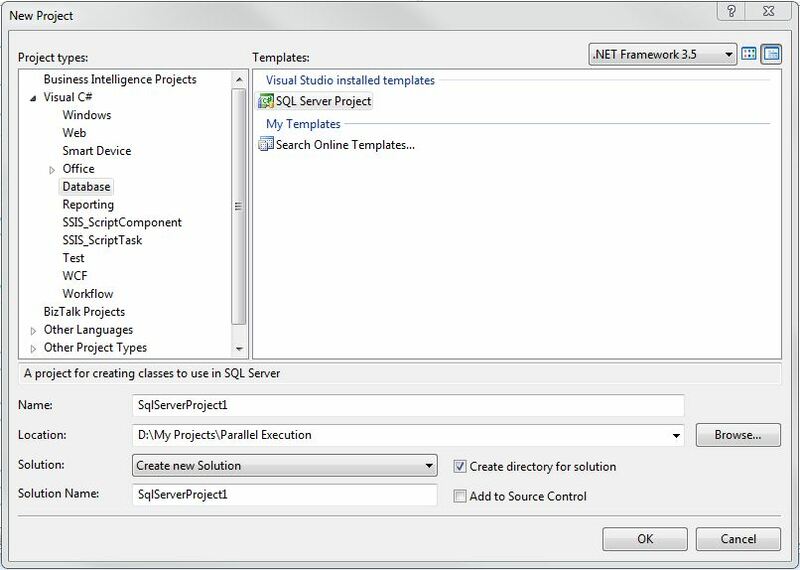 A purely SQL engine related parallelisation solution takes advantage of minimized complexity and has no ‘external’ components like SSIS involved, Furthermore it’s the best performing solution regarding task splitting and synchronization, as it hasn’t potential connection and communication overhead. The overall performance gain thru parallelisation with SQL Parallel Boost is up to 10 ! In case you don’t wan’t to rebuild your own solution, SQL Parallel Boost provides a self-contained pure T-SQL based solution, which can be easily embedded in existing applications and ETL process tasks. does this also work when using a select statement? thank you sir . But i can’t get a result set when using select statement . can you give me a sample code that returns a result set and how they are implemented in vb.net? thank you in advance sir! your reply will be much appreciated! By the way sir, can you do it in windows form rather than c#? if its ok, but if its time consuming anything will do. Can you give me the sample code that you are running so I can debug it? I’m a bit confuse about the user define Function checkThreads() and “If errors.Count > 0 Then …”. I am just using one database, how can i change the flow of the code that only uses one database and return a result set ? Your code looks fine and it is only using 1 Database. Also where is your ExecuteSQL class? the code originally uses multiple database, i’m concerned about “Public Shared Function checkThreads” because i think it is design to handle multiple database and also the “If errors.Count” statement . It slows down the execution of query even though only small data is being queried. About the Execute SQL class are you referring to Class ExecSql? I’ve already included in the above code .